Business Intelligence has matured as a core competency necessary to sustain competitive advantage. Organizations of every size and industry are generating valuable data with each interaction, and that data can be captured, analyzed, and turned into business insight. These organizations are using analytics features like dashboards, advanced visualization, data warehousing, and other technologies to achieve their strategic business objectives. Many companies are taking a hybrid cloud approach to data analysis. Leveraging a hybrid cloud environment as part of a big data analytics strategy enables businesses to take advantage of cloud elasticity. This allows organizations to process data across clusters of computers, enabling analysis to occur across multiple cloud compute environments. As organizations’ need for more compute power grows, the cloud can scale with their requirements. Cloud-based business analytics capabilities enable organizations to make smarter decisions that better address real-time business imperatives. Analytics capabilities are moving beyond the traditional business intelligence, and forward-leaning organizations are analyzing data in new ways to distance themselves from the competition. Analytics is enabling businesses to align the right customers with the right solutions, identify customer patterns of behavior, and quickly resolve customer service issues by correlating and analyzing a variety of data. Business Intelligence has matured as a core competency necessary to sustain competitive advantage. Organizations of every size and industry are generating valuable data with each interaction, and that data can be captured, analyzed, and turned into business insight. These organizations are using analytics features like dashboards, advanced visualization, datawarehousing, and other technologies to achieve their strategic business objectives. is enabling businesses to align the right customers with the right solutions, identify customer patterns of behavior, and quickly resolve customer service issues by correlating and analyzing a variety of data. Descriptive analytics, used to explain what has happened and what is happening now, offers organizations a context-relevant view of the business with discovery, visualization, and interaction capabilities. This enables businesses to examine critical performance metrics to understand business impact, evaluate business processes, and drill down into data to get a single view of the past and the present. Bringing together structured and unstructured data from across the enterprise, descriptive analysis provides a consistent view of key business metrics in real time. It shows the “hard to see” trends and patterns through data dashboards, reports, and visualizations that not only detail what is happening, but also begin to diagnose why. Descriptive analytics provides insight that details the reasons behind the results. Diagnostic analytics, which explains why things happened, is critical to improving business operations and processes. Diagnostic analytics starts during the descriptive analytics phase and gets into root-cause analysis and data discovery. Exploration into disparate data coming from many different sources feeds interactive visualizations that can uncover patterns and correlations that drive business-specific predictive models. Businesses can use these correlations and relationships to predict and plan for the future by identifying key factors that directly and indirectly affect performance. The insights gained provide a deeper understanding of why the business is performing the way it is. Diagnostic analytics reveals success factors that drive future growth. Predictive analytics, which uses data mining and descriptive and diagnostic analytics along with predictive modeling to describe the probability of future business events, finds patterns in historical and real-time data to anticipate what is ahead, and identifies business risks and opportunities. Using predictive models, statistical analysis, data mining, real-time scoring, and a range of advanced algorithms and techniques provides organizations the ability to analyze business trends and relationships in current and historical data to forecast future business results. Predictive analytics helps organizations make better-informed decisions based not only on what has happened, but also on what is most likely to happen in the future. Prescriptive analytics uses predictive models and optimization techniques to recommend reasonable courses of action and shows the expected outcome of each. Organizations make more informed business decisions in real time by evaluating different ways to move forward, with an understanding of the consequences of each option. Using “what if” scenarios, predictive models, rules, and decision logic enhances decision making by evaluating a variety of viable options and their likely outcomes. Organizations learn to take advantage of an opportunity or mitigate a future risk by understanding the implications of their actions. Prescriptive analytics drives organizations’ confidence in the ability to make the right decisions to meet strategic business goals, improve customer engagement, lower risk associated with threats and fraud, and improve business processes. Machine learning and natural language processing have moved out of research labs to become a business differentiator – fusing the benefits of internet speed, cloud scale, and adaptive business processes to drive insights that aid real-time business decision making. Cognitive analytics is the application of cognitive computing technologies to enhance human decision making. Organizations improve the ability to sense and respond by applying cognitive analytics to harness the power of the big data. Cognitive analytics assists in the processing and understanding of big data in real time, in the face of the ever-increasing volumes of data and the endless amount of data fluctuations in form, structure, and quality. Cognitive analytics can extract content, embed it into semantic models, evaluate hypotheses, and interpret evidence, providing potential insights and then continuously improving them. Business intelligence and analytics tools are the enabling technologies that provide information, knowledge, and insights to organizations assisting them to make better decisions. It helps organizations understand where money is being spent and the measurable value they are realizing from that spend. The use of analytics has surged as smart organizations harness the power of big data to improve decision making and efficiency, and the elasticity of a hybrid cloud computing environment can ensure that these organizations’ ability to manage, analyze, and interpret data grows along with the amount of data they collect. To succeed in today’s competitive market, business leaders must be able to turn data into business insights for sustained business growth, and the right computing environment is a key element to success. 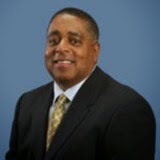 Melvin Greer is Managing Director of the Greer Institute for Leadership and Innovation, focused on research and deployment of his 21st Century Leadership Model. With over 29 years of systems and software engineering experience, he is a recognized expert in Service Oriented Architecture, Cloud Computing and Predictive Analytics. He functions as a principal investigator in advanced research studies, including Nanotechnology, Synthetic Biology and Gamification. He significantly advances the body of knowledge in basic research and critical, highly advanced engineering and scientific disciplines. Mr. Greer is a Certified Enterprise Architect, the Steering Committee Chair of the Cloud Standards Customer Council and a member of the U.S. National Academy of Science.